Just because you don’t have a marriage license together doesn’t mean you do not need financial tips as a couple. When you make the exciting (yet scary) decision to move in with your partner, it needs to be about more than just sharing a home; it needs to be about sharing your financial goals as well. Deciding to co-exist with your significant other in one space is a big step in the relationship, which is why money needs to be a topic of discussion before knowing where the couch is going to be located in the living room. Be transparent about your finances. Don’t wait until after a marriage proposal or, worse, after the wedding to discuss your finances with one another. If you want to build a long-lasting healthy relationship, you should talk about your debts, financial goals, savings, assets and the like so that you can start things off on the same page. You may want to go as far as sharing your credit score. This is often needed prior to renting a home or apartment anyway. Take care of your own debts. Unless discussed for special circumstances or confirmed future goals, you should strive to always cover your own debts. Having your partner cover the costs of your financial obligations can cause some serious issues. Have you ever heard that money is one of the biggest causes of break-ups? That statement exists for a reason. Discuss your monetary goals with one another but also create your own together. This can help to determine when it would be necessary to help cover debts in the relationship that aren’t yours. Know how the household expenses will be split. Being aware of one another’s income and debts will also be helpful in knowing whether a certain space is right for you as a couple. If there is concern there may be resentment if one is paying more than the other, choose another space that won’t put a strain on anyone’s bank account. If actually purchasing a home together, be sure to put both of your names on everything so that responsibility does not fall all on one or the other in the relationship just in case a break-up were to occur. Because my boyfriend and I are only leasing an apartment, we found what would be easiest for us would be for him to pay the rent and I would cover the household bills. Over the last three years of living together, we have worked hard at really building a team setting.. If we need groceries and he is out and about, he will pick them up. We do, though, tend to go together so that we can split this cost 50/50. Our house is not just somewhere we sleep at night; it’s our home that we’ve built together, even if it is a lease. Overall, it is all about maintaining that open communication and applying financial tips that make sense for you and your relationship. Are you taking that big step with your partner? What challenges have you faced or overcome financially together? A fixer-upper sounds like a good idea, but think before you buy. 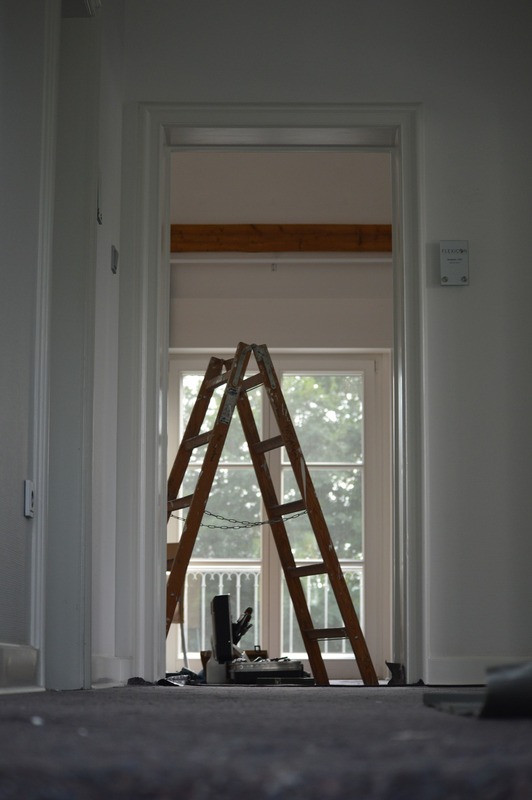 Fixer-upper concerns and things to keep in mind. Recently, my boyfriend of six years and I discussed the possibility of purchasing a fixer-upper in an effort to grow our financial portfolio and begin creating our own home after renting an apartment for the last three years together. It seemed like a great idea, and we even considered renting the house out when we would ultimately choose to move. However, after speaking with his father, who is in the banking business, we decided against it for more reasons than one. Before beginning any new investment, you should always do your research first and foremost. When buying a home, whether choosing one that needs restored or not, look at an inspection report. Along with this visual report, you will want to know the home’s full history and study its neighborhood. A house in a historic district, for example, will most likely have a higher value but may also require more costs due to rebuilding with accurate components. Moreover, you will want to assess the district to see its demand, crime rates and more as those notes are necessary to see how easy it’d be to resell or what would add profit to the property. Your neighborhood (and home) should have room to grow for an ideal situation. What’s your budget? What would you hope to make back on the home, and is it possible to do so following your updates? Are any electrical upgrades required? Is there any concern of lead-based paint or asbestos? If so, what may have originally would have been a small investment may rack up the costs. These are all important questions to ask. Your finances should include the cost of the home, construction and the unexpected. Are there any restorations you can do on your own? And not just that, but do you have the time to do them? Know and be realistic with your skills and availability to work on this project. Stripping wallpaper and painting is one thing; upgrading your sewer system is another. Before you even make an offer on any house, make sure to price the expenses of repairs and remodeling, including cost of labor. Have an idea of what changes you would want to make to the home. Get some direction from the inspector and another professional to prevent your project from turning into a total disaster. You also want to determine if the home is worth the investment. 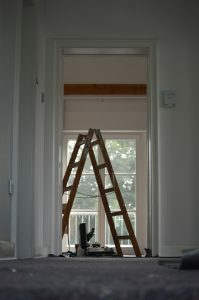 You don’t want to make unnecessary updates, such as tearing up original woodwork that could actually add value to the home, or buy a complete dud that really can’t be restored. If you are considering taking this leap, just be sure to take all avenues into review. As I mentioned before, weigh out all the costs to figure out how much you should pay. This can be concluded through the renovation expenses of the property based on the housing report and all materials needed deducted from the home’s probable market value after the updates, using the area’s real estate prices. You should additionally subtract up to 10 percent for those unforeseen extra costs we were talking about earlier, as is expected with any new home purchase. What is left over should be your offer on the house. By consulting with a few professionals, you should be led into the right direction and one step closer to home sweet home. Maybe one day we will end up getting that fixer-upper, but for now, my beau and I are content where we are. Have you bought a fixer-upper? What were your results? What would you add to this list?